Travelodge Columbia is a Family-Friendly hotel, featuring a variety of Family-Friendly Amenities. Our FREE Deluxe Continental Breakfast includes Muffins, Cold Cereal, Breads with Condiments, Orange Juice, Apple Juice, Coffee, and Tea. We offer fresh baked Otis Spunkmeyer Cookies in the lobby. Enjoy FREE Local Calls, Expanded Cable with HBO and Disney, and In-Room Coffeemakers and Hair Dryers. Sleepy Bear Den Rooms are great for families- we also have newly-remodeled Business King Rooms, rooms with Micro/Fridges, and Guest Laundry Facilities available. Additionally, guests receive discounts at local restaurants, many of which are within walking distance. Travelodge is now wired with FREE HIGH SPEED INTERNET in Select Guest Rooms. Our Outdoor Pool Area is perfect for making a splash, relaxing in the sun, or catching up on your reading. 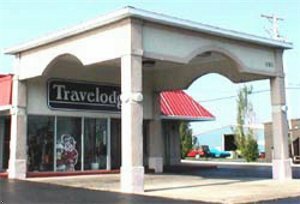 Travelodge is located at I-70 (Exit #127), 2 miles from MU, the closest hotel to the Boone County Fairgrounds. We hope that you'll come and sleep with us the next time you're in Columbia!